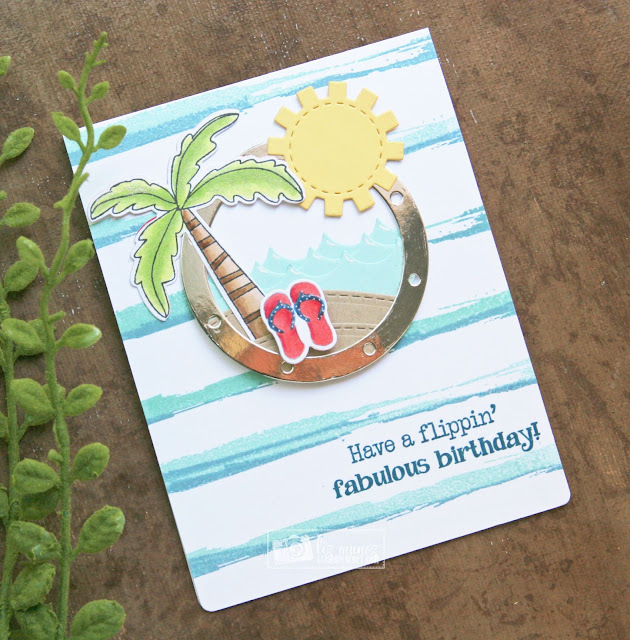 Liz's Paper Loft: MCT Weird Holiday ~ lazy day! Happy Lazy Day! Well it's not actually today, it's August 10 and I plan to celebrate! 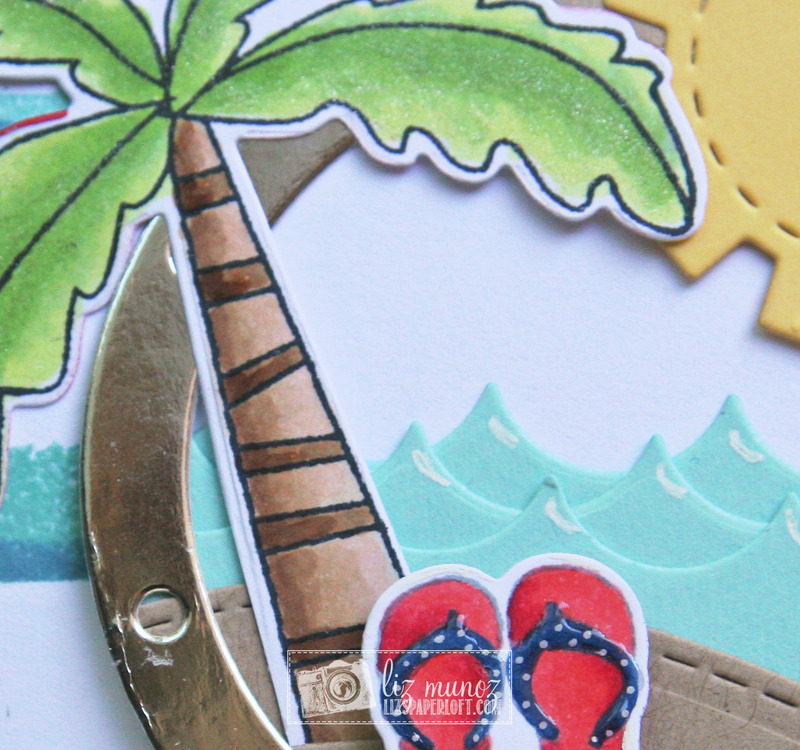 Today over at My Creative Time we are celebrating "Weird Holidays" for August and I chose "Lazy Day"! I used a Misti to stamp the "water" lines, copic markers for the palm tree and flip flops, and dies to create the water and sand. So stinkin' cute! I love your two-toned watercolor lines! Oh Miss Liz what a Gorgeous Card!! I love your little porthole scene it's so Beautifully done!! You so did a Super Outstanding Creative job!! WOW....I'm in awe of all the you with Miss Emma's Fab goodies....your card is Spectacular and all of your ideas that you came up with are incredibly Magnificent!! again WOW!! YOU so ROCK!! I hope I can celebrate that day also! I love the water/stripes and cute summer scene! Great job.